Apex Fire is pleased to announce that twelve of our technicians have recently completed and passed the Fire Industry Association of Ireland’s course and exam on IS 291:2015 (Selection, commissioning, installation, inspection and maintenance of portable fire extinguishers). This intensive course has equipped our staff with all the latest knowledge required to guarantee an expert and IS-compliant service with regard to all aspects of portable fire extinguishers. It also further contributes to the wide range of expertise of our multi-disciplined workforce. 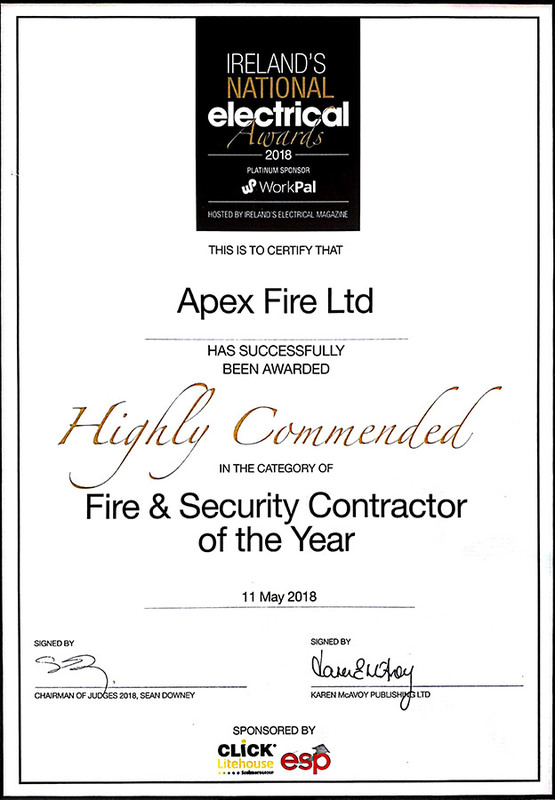 It is testament to Apex Fire’s commitment to expertise in all aspects of fire safety and prevention. Staff members will continue to participate in further courses and exams throughout the year ahead.